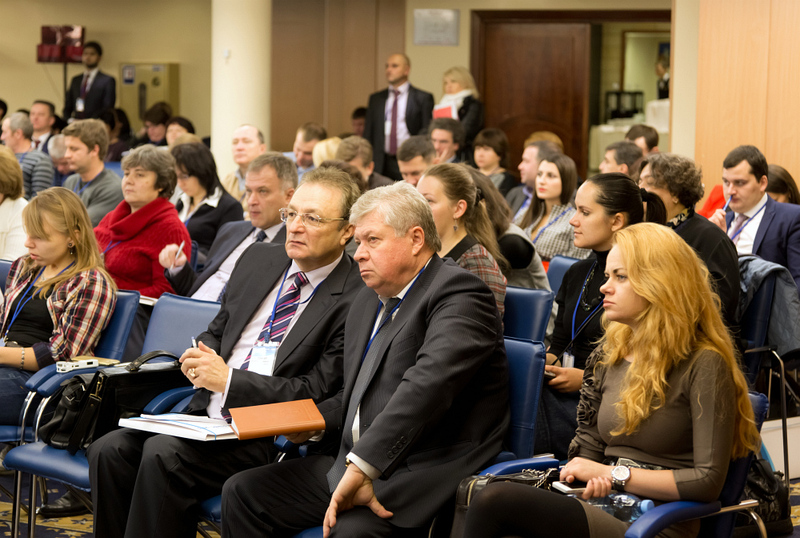 The VIII Ukrainian National Conference with International Participation DAIRY BUSINESS-2015 was held in Kyiv on 26 November. 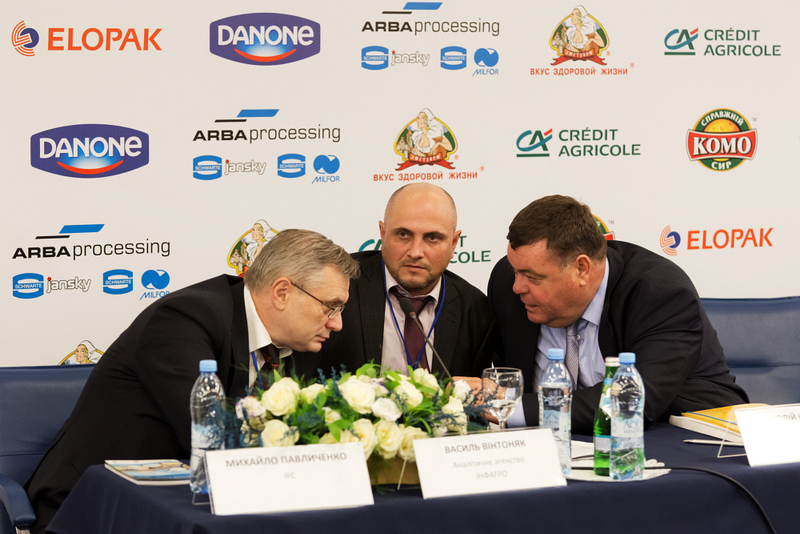 The extensive Conference Program and participation of the recognized speakers well known to dairy industry professionals provided the opportunity to get a complete view of not only Ukrainian dairy sector, but also that in other countries – Belarus, Russia and Poland. 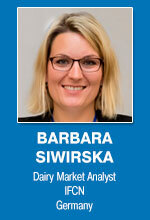 The global dairy trends were also presented: Barbara Siwirska, Dairy Market Analyst IFCN, presented the world dairy market overview with accent on price of milk in various countries and made a forecast of the situation in 2016, based on the data that are constantly collected and analyzed by IFCN. 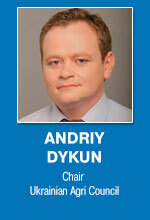 Particularly interesting were the findings which concerned prospects of Ukrainian dairy. 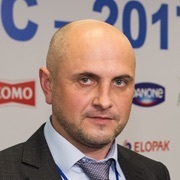 Vadym Chagarovsky, Board Chairman Dairy Union of Ukraine, evaluating the current state of Ukrainian dairy industry, stressed on the fact that in Ukraine the share of milk produced in households still remains very big, as well as the share of milk products manufactured by households for own consumption. Now, in the situation when the number of cows is sharply decreasing, rural households are cutting supply of milk for processing (this category of producers makes annually about 5 million tons of milk). 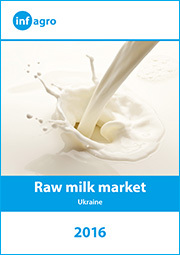 In general, the marketability of milk in Ukraine is 40%. 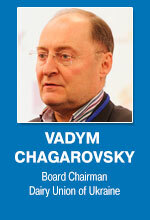 As it was noted by Vadym Chagarovsky, the country now steps into the period of shortage of milk. 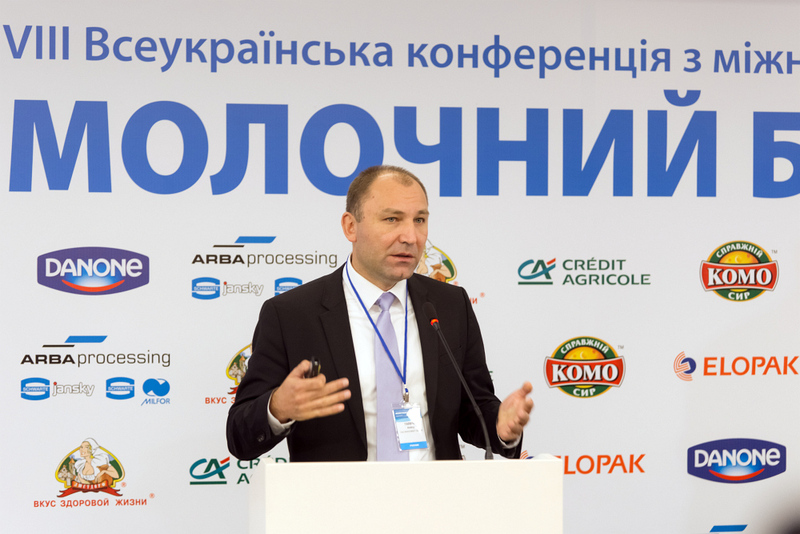 In his speech he stressed the importance of reliable information for analysis of the situation in dairy sector to develop new plans and programs for the industry. 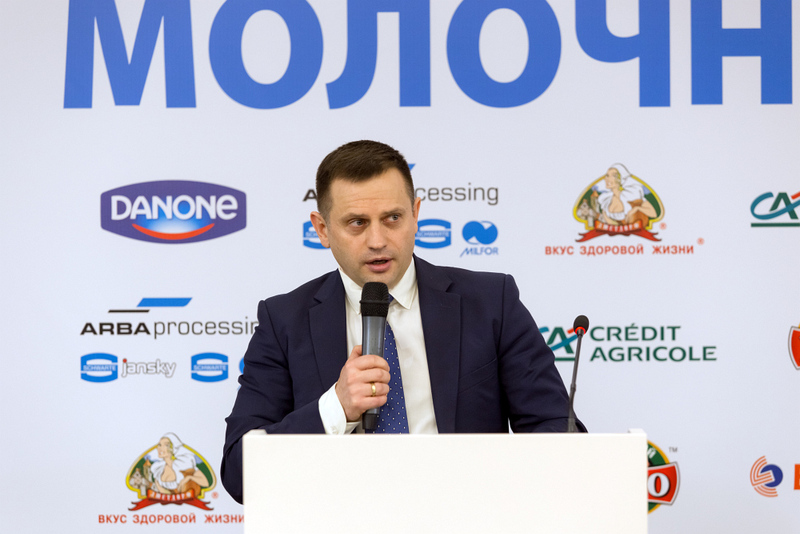 The situation in milk production presented by Dmytro Shulmeyster, Director Department of Ministry of Agrarian Policy and Food of Ukraine, was focused on positive aspects. He noted that despite the difficulties, positive results are still there: increase of cows’ productivity, increase in high quality milk production and diversification of export markets. 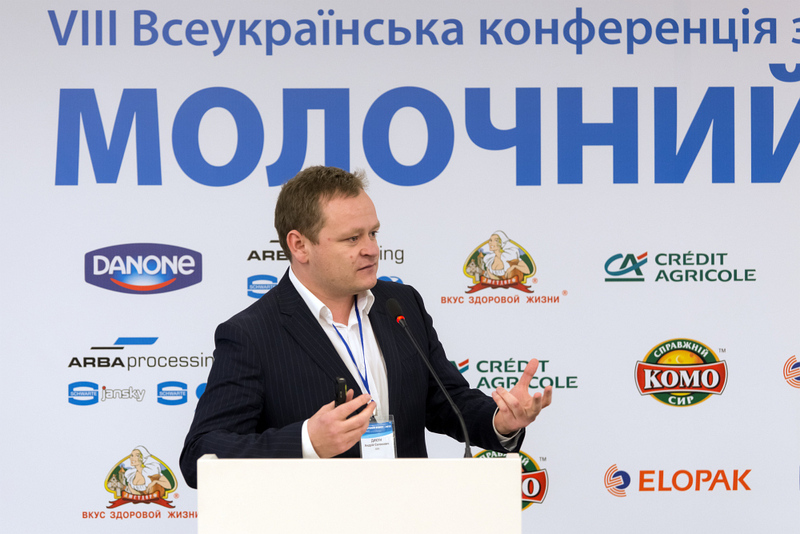 Delegates were interested in the presentation of Mikhail Mishchenko, TheDairyNews Chief Editor, who showed the link between reduction of dairy imports and consumption of milk products with a level of dairy self-sufficiency in Russian Federation. 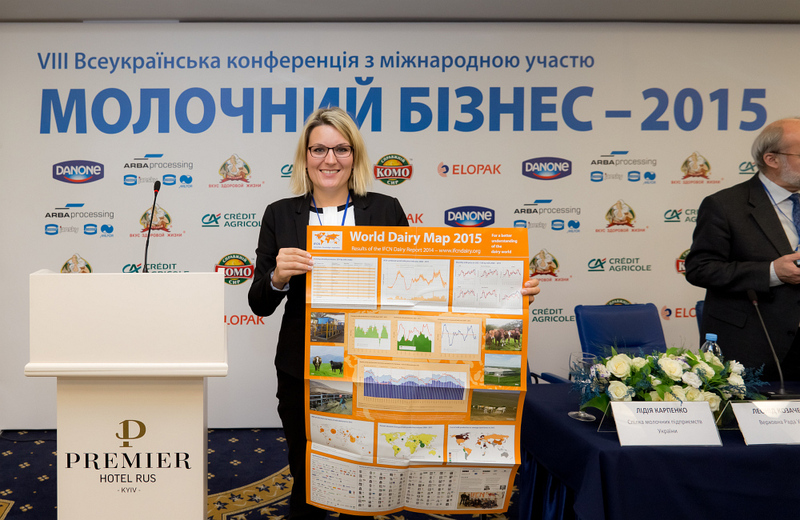 In Russia there is also a problem similar to that of Ukrainian dairy statistics and concerning the reliability of the industry performance and indicators: according to the speaker, the officially claimed figure of 32 million tons of milk produced does not correspond to reality. 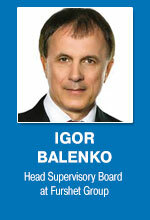 In his opinion actually there was produced only 16 mln t. He also provided the span of data on milk production in Russia since the beginning of last century and showed that RF now produces as much milk as it did in 1913. 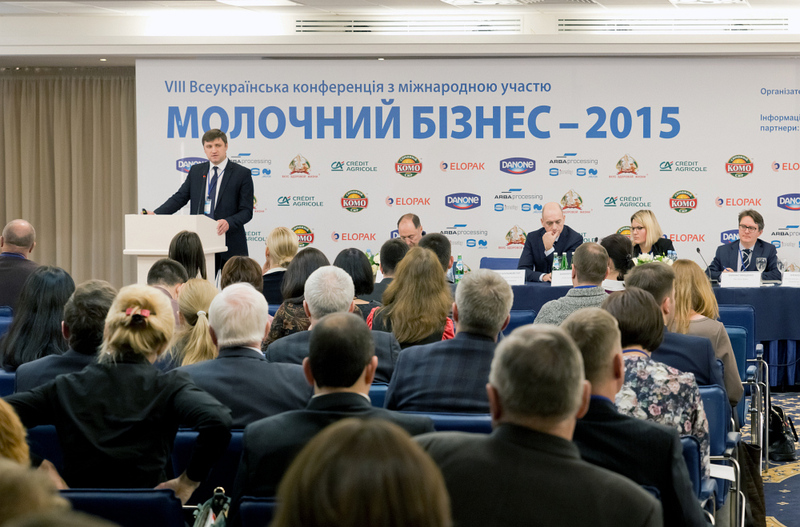 But conditions for development of dairy industry are favorable now: large agricultural enterprises that had made investments in construction of large farms, got reimbursement of expenses from the state. 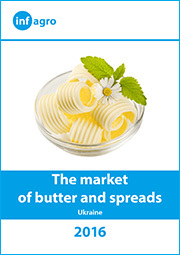 In general, consumption of dairy products in the country is falling due to the deteriorated purchasing power of the population and because of the large share of falsification. 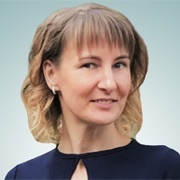 With modest incomes, people do not want to spend money on the products of questionable quality, so they reduce their purchases for this reason as well. 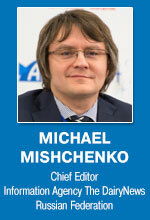 With regard to resuming of normal trade with Ukraine, Mikhail Mishchenko was quite pessimistic. 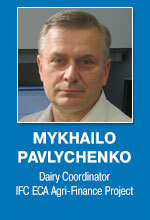 He advised that Ukrainian dairy traders should not expect a quick recovery of trade with Russia. They have to develop their domestic consumer market, as well as limit the development of large multinational companies in the country. 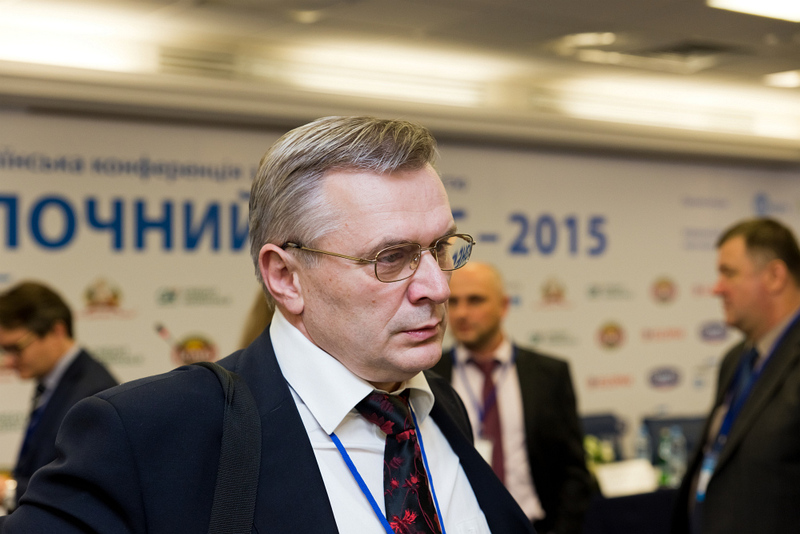 In his speech, Alexei Bogdanov, Head Main Department for Foreign Trade, Ministry of Agriculture of Republic of Belarus, highlighted the situation in the dairy sector of Belarus and spoke about the measures taken by the state to support the industry. 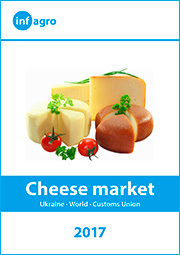 Per capita consumption of dairy products in Ukraine makes 223 kg. 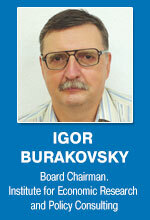 In Russia, according to the speaker from Russia, it is at the level of 111 kg (156 kg according to the IDF 2014 data). 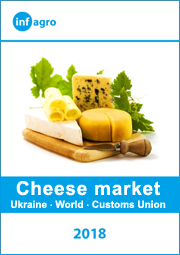 With this background Belarus looks great: 253 kg/person/year, while the level of milk self-sufficiency of the country is 212%. 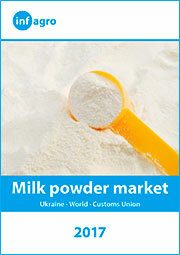 Marketability of milk is high, 90% and requirements to milk quality are strict. 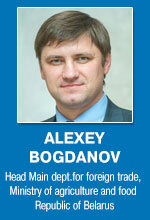 The Republic of Belarus is actively working to diversify its exports. 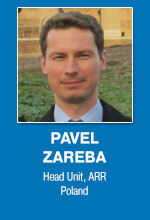 Pawel Zareba (ARR, Poland), spoke about the path that Polish dairy industry had already passed after the country’s accession to the EU. He talked about the structure of the industry in his country and noted that accession to the EU positively affected agricultural sector as a whole, including the development of dairy production. Apart from upgrade of technology in dairy industry, employment in this sector also increased, as well as exports trade has grown. 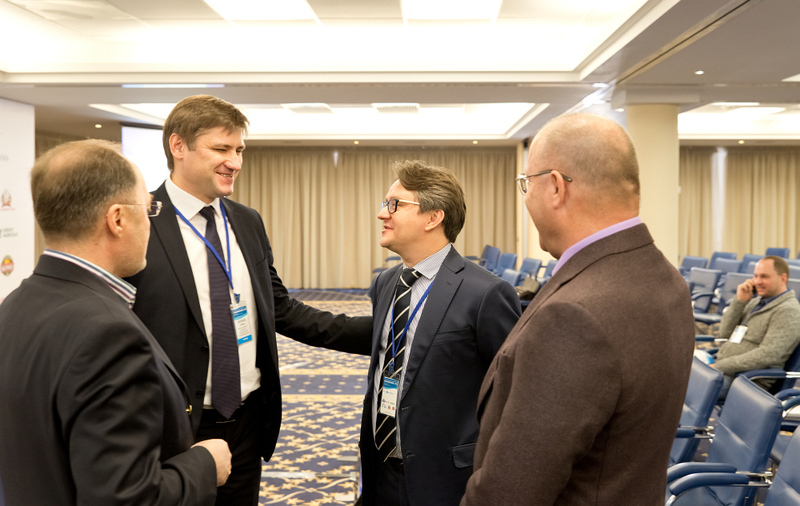 Pawel Zareba said that Ukraine should take advantage of the benefits from the entry into force of the Free Trade Agreement. 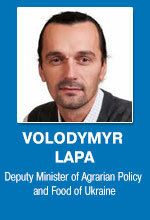 He also emphasized that Poland is ready to support the development of Ukrainian dairy sector. 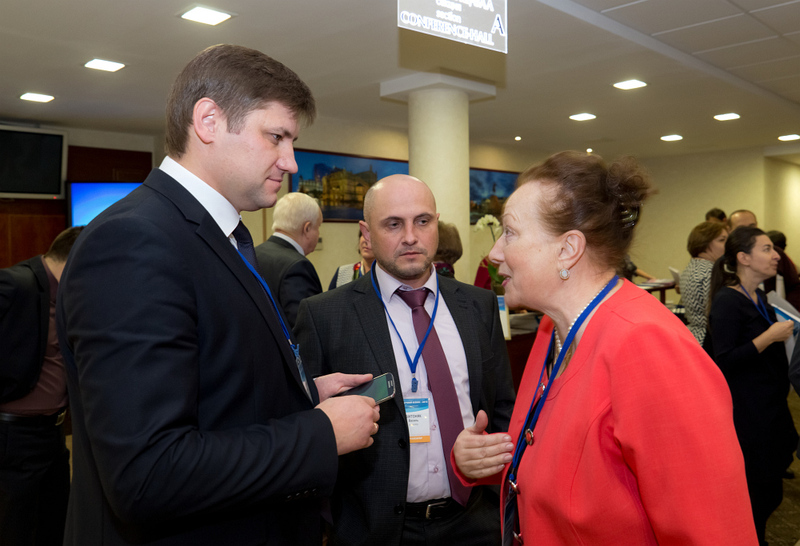 At the Conference there was also discussed the problem of lack of the state support to the dairy sector, the issue that had always been on the agenda of all the previous Dairy Business Conferences. 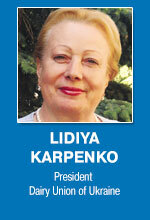 In short the delegates’ opinion was: no sense to count on the state support at all. 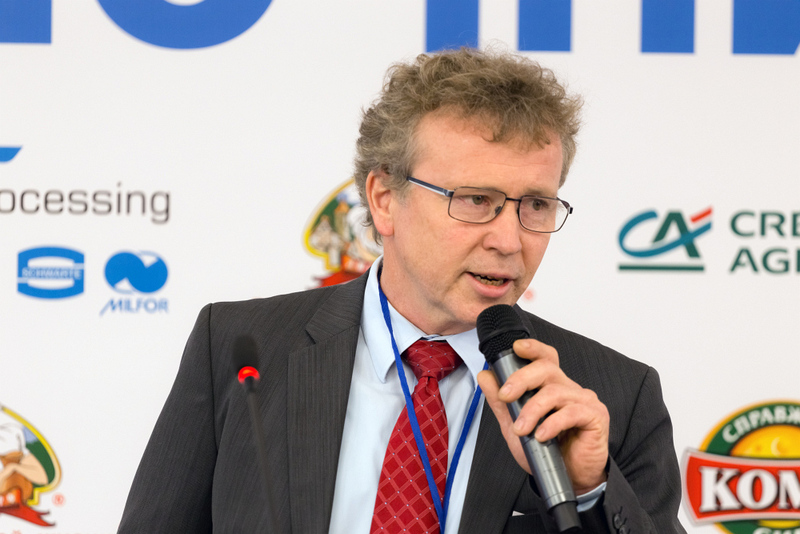 The representative of Credit Agricole Bank, Jean-Jacques Herve, Board member, Counsellor for Agriculture, spoke about the potential of financial support other that traditional credits and use of differentfinancial instruments which banks may offer. 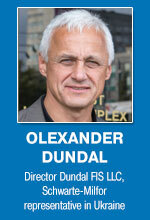 He especially emphasized on the role of trust between partners. 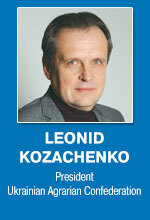 Leonid Kozachenko, president of Ukrainian Agrarian Confederation, who moderated the second session, said that the power authorities recall of the dairy industry only on the eve of elections, when they exploit populist statements of establishing minimum prices for milk purchase and make promises of the state support. 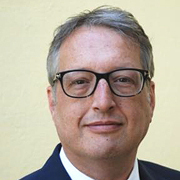 He called for more active involvement of public professional associations in addressing the issues related to dairy industry. So far, he said, the authorities are dealing only with EBA and ACC, and it is extremely difficult to the rest of the associations to have a meeting with the leadership of the country. 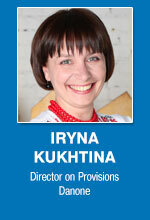 What are Ukrainian consumers’ buying intentions now, under the crisis? 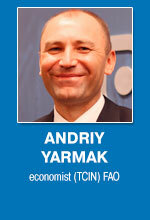 How do they respond to the growth in prices of dairy products? 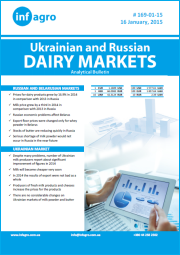 These and other similar questions, as well as the view on the change in the structure of the dairy market, were in focus of the presentations of two global market research companies – TNS Ukraine (Maryna Kostromina, Senior Client Service Manager Continuous and Media Research) and Nielsen (Vitaliy Bryk, Director Strategic Development Ukraine, Belarus). 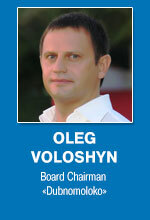 How can cheese making companies successfully develop in the crisis, was shown by Oleg Voloshyn, Board Chairman Dubnomoloko (KOMO). Alexander Dundal, director Dundal FIS LLC, presented to the delegates the range of services provided by ARBAProcessing and Schwarte Milfor, the company that now belongs to this group. Schwarte Milfor had produced tanks for 70 years. The accumulated experience and high-tech production technology can guarantee high reliability of the tanks and other related mechanisms. 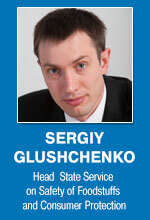 This can be confirmed by many companies in Ukraine that have already become their clients. 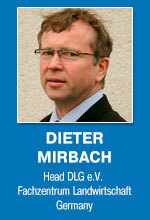 Dieter Mirbach, director of DLG eV (Germany), shared his country’s experience in the field of the regulation of relations in milk production chain. 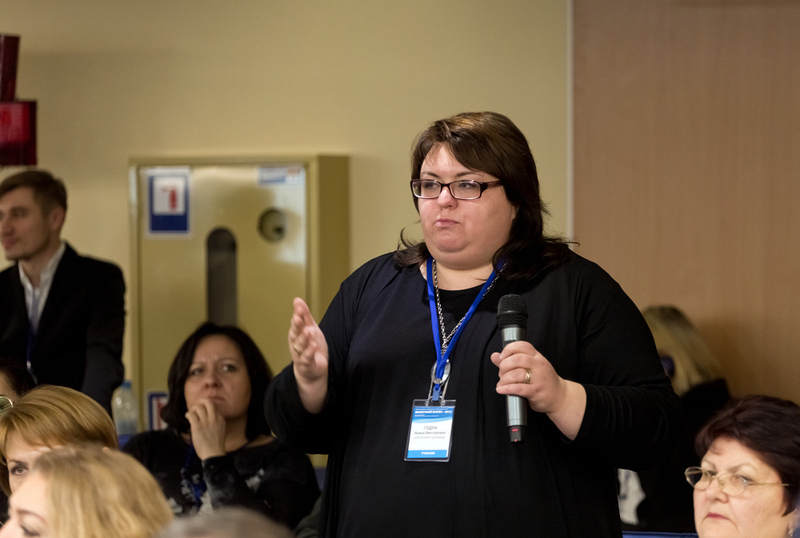 Then the delegates turned to discussing the most acute issue of the Conference – relations between milk producers, dairy processors and trade networks. 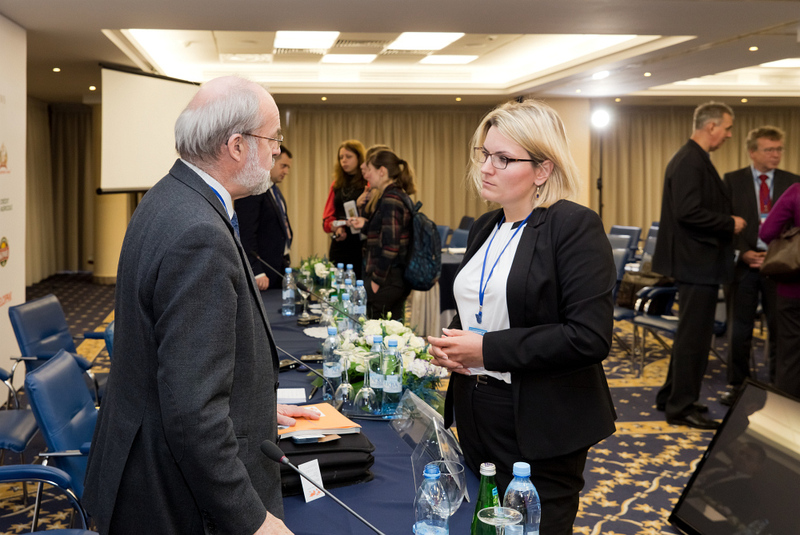 Actually, there were no representatives of trade networks at the Conference, although the organizers had been taking enormous efforts to involve them to participation. 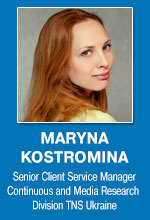 In fact, their ignoring participation to some extent looks as an indicator of their neglecting of the problem. 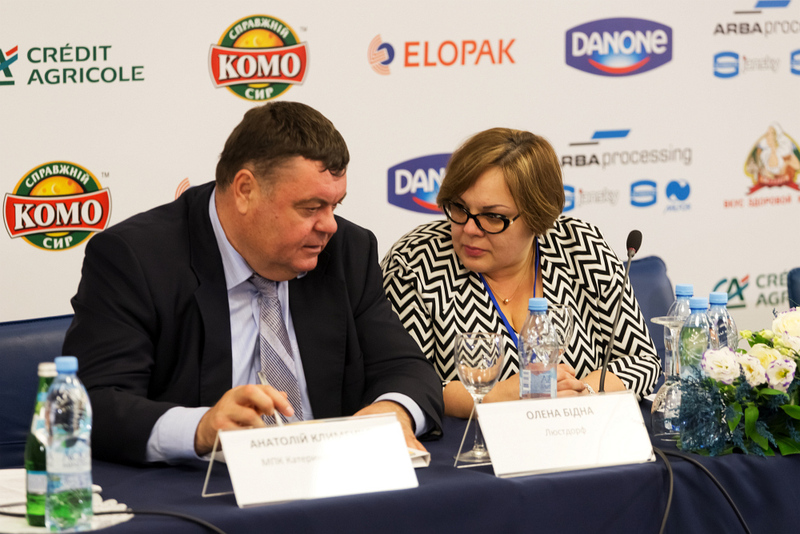 The emotional speech of Anatoliy Klymenko, the owner of the large dairy complex MPK Katerynoslavsky, opened the discussion. 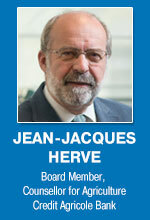 He expressed his willingness to negotiate with dairy processors the issue of purchase price of milk – the key stumbling-block in their relationship – and logically noted that such issues should be considered by a group of major dairy market players, owners who are capable to protect the interests of the entire industry. 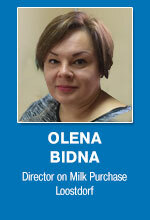 The representative of the dairies, Olena Bidna, Director on Milk Purchase, Loostdorf Dairy, in her presentation gave examples showing that not all milk suppliers adhere to the industry standards and rules, some of them cannot be considered as reliable partners, so processors are forced to work in conditions of instability of milk supply and uncertainty about the purchase price, which depends on many factors. 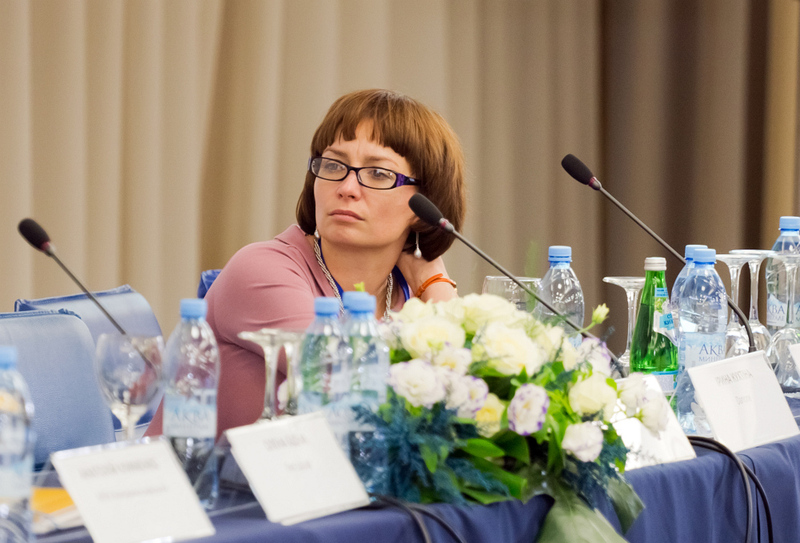 Andriy Yarmak, economist at FAO, and Irina Kuhtina, Director on Provisions, Danone, spoke about different types of cooperatives – professional (Yarmak) and family run (Kuhtina). 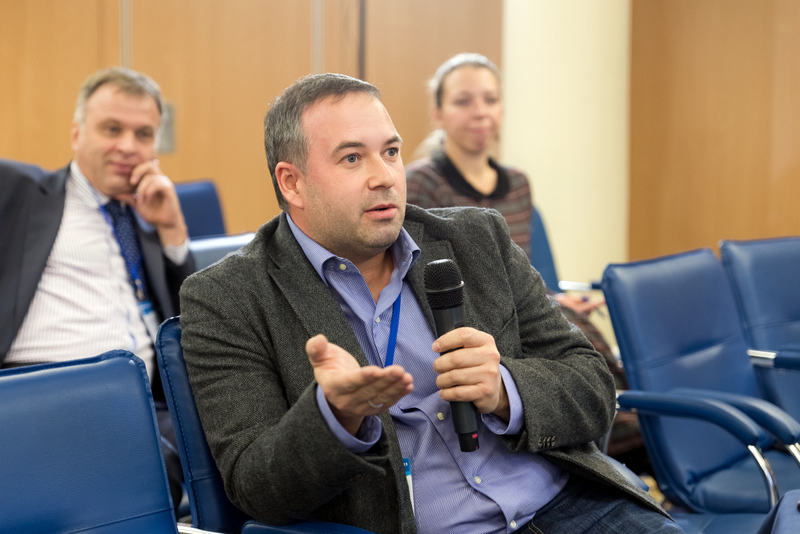 The views of the delegates on the effectiveness of such form of milk production and vertical integration in dairy sector were different, but all agreed that the legislation on cooperatives in its current form, hinders development of this form of milk production. 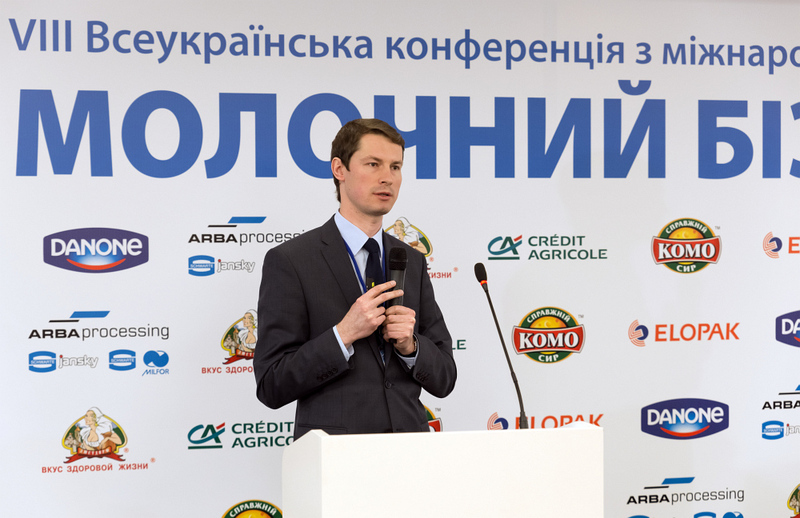 In addition to the topic of financial support presented by Jean-Jacques Herve, Mykhailo Pavlychenko, Dairy Sector Coordinator IFC ECA Agri Finance, with his presentation continued about the dairy finance. 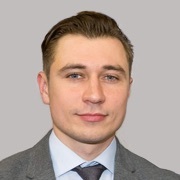 Mykhailo Pavlychenko is an expert in dairy economy and finance and worked with Ukrainian banks and their potential clients, agricultural enterprises, helping them understand each other better to build partnership. So, in his presentation there was a concrete example that showed the advantages of specific financial instruments applicable in dairy sector. 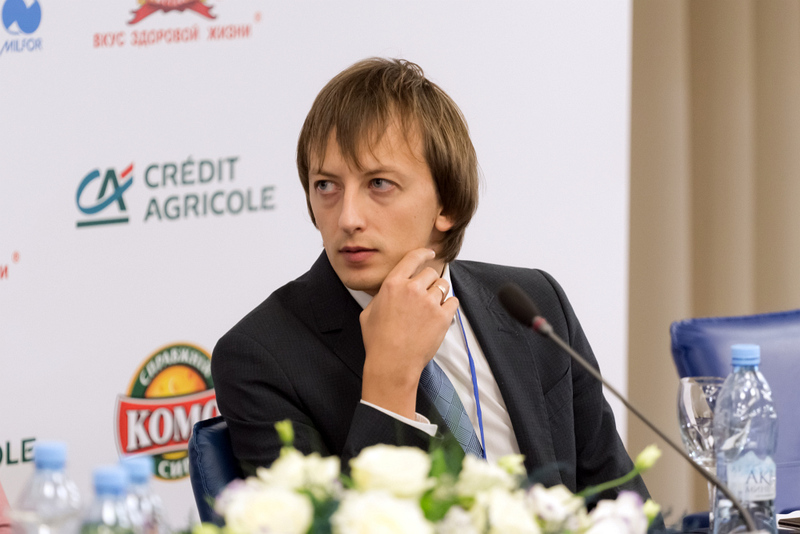 Summing up the session, Andriy Dykun, Chair Ukrainian Agri Council, made a passionate speech in support of large-scale dairy production which he finds the right and effective way for Ukrainian dairy. 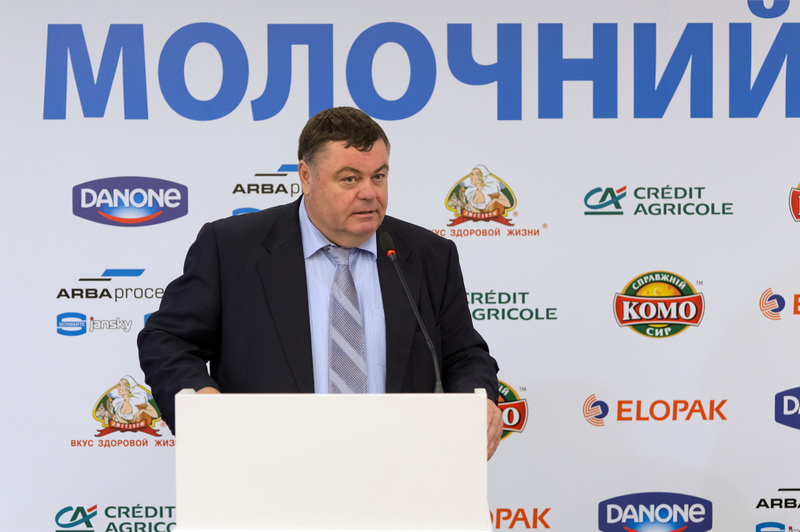 In addition, continuing the theme of the laboratory tests of milk quality that had been previously mentioned by Anatoliy Klymenko, he expressed concern that there were not enough laboratories that could provide a truly independent assessment of milk quality. 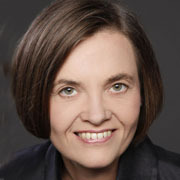 This is a serious problem, and solution to it in some way could help to resolve at least some of the disputes between dairy farmers and processors of milk. 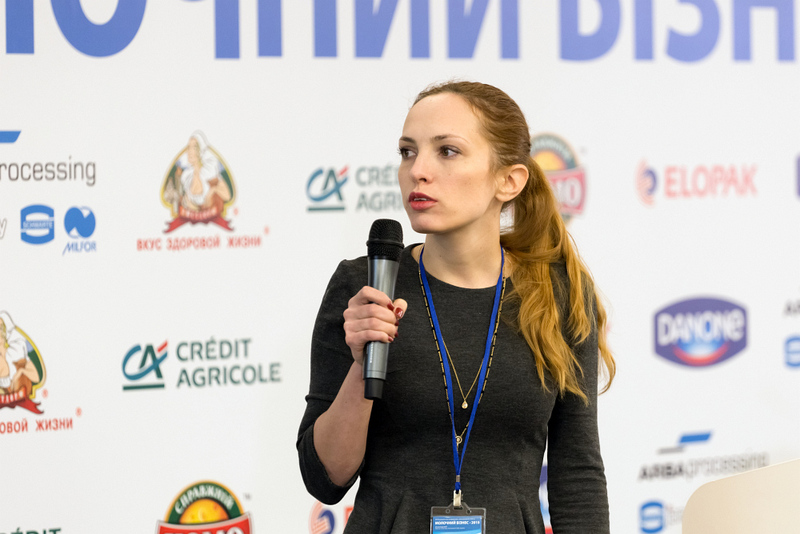 Common to all the speeches was the emphasis on the value of people to achieve success in dairy business, the need for their professionalism and dedication, and perseverance in overcoming difficulties. 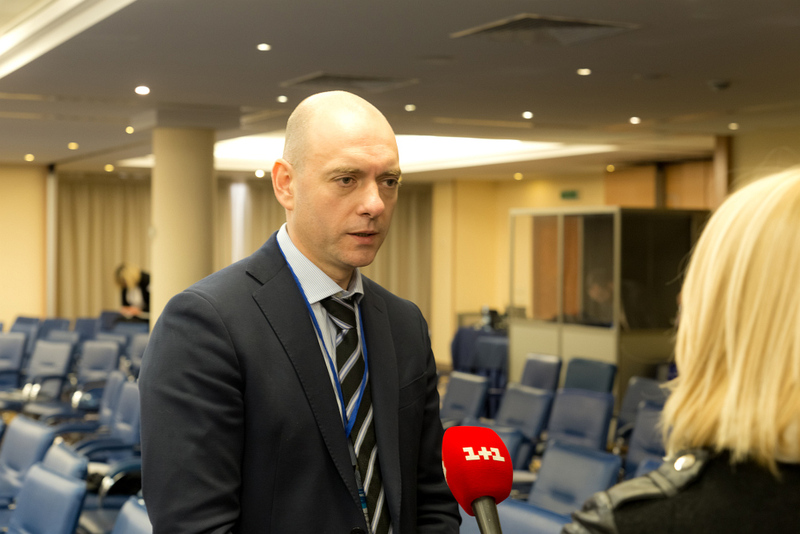 There were no contradictions regarding the necessity of cooperation between producers and processors, and there was unanimous disappointment of the state authorities’ attitude to the dairy industry needs. 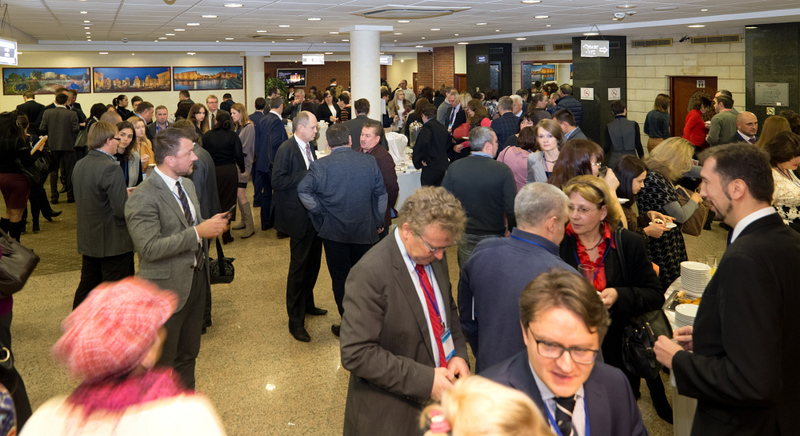 General atmosphere of the conference was very friendly and warm. 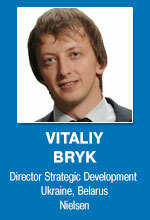 Representatives of more than 100 companies from 12 countries were delighted to meet their colleagues. 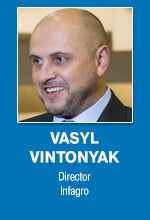 During 8 years that Conference has been held, many of them became partners and friends. 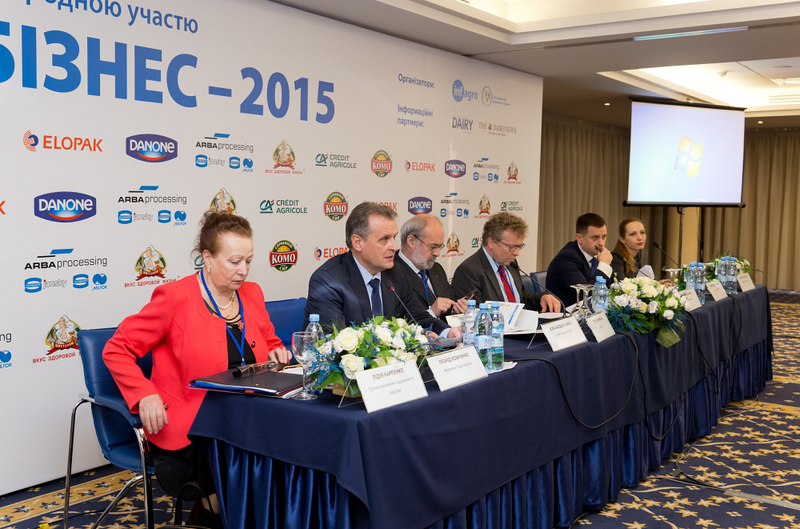 Dairy processing representatives who usually host the DAIRY BUSINESS Conference, were very pleased that this year the representatives of large farms, milk producers, showed interest to this event and came to Kyiv to participate. This can be viewed as another, albeit small, step towards a real partnership and mutual understanding between producers and processors of milk. 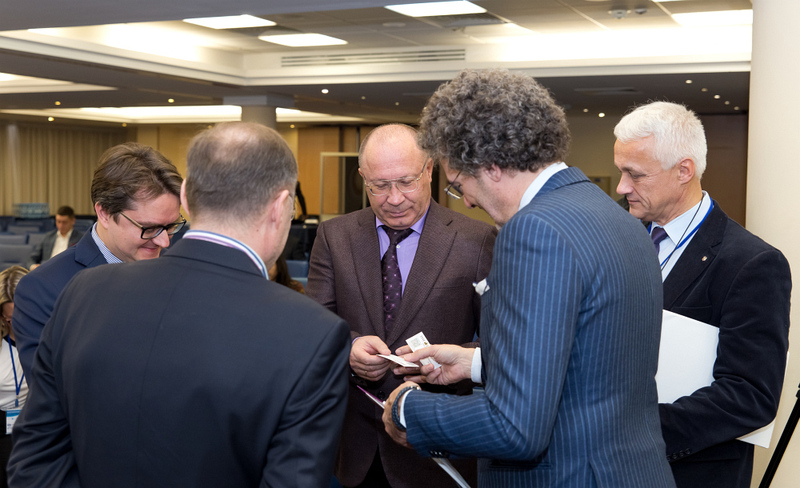 The organizers express their gratitude to sponsors of the conference: Danone, ARBAprocessing, Elopak, Loostdorf, Credit Agricole Bank and Dubnomoloko (KOMO) and to excellent speakers, who made the event so informative and interesting. 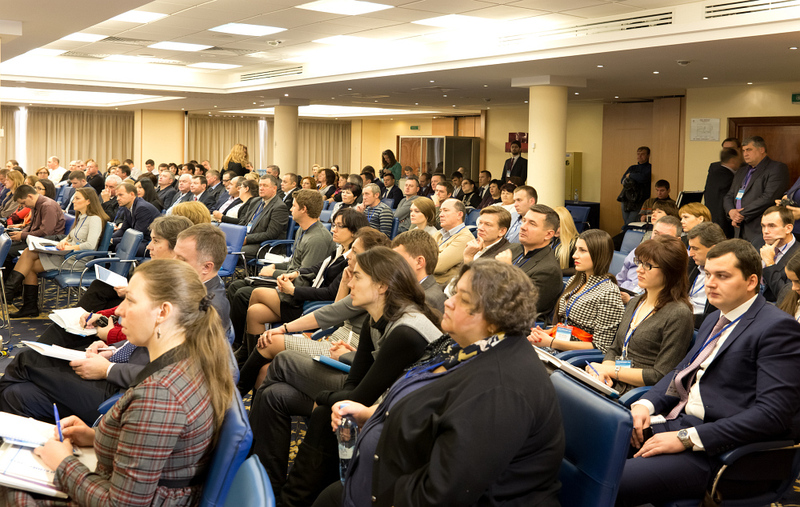 Many thanks to all the delegates for their active participation and ideas they shared at the Conference.